A convenient option for business and leisure travelers, Country Inn & Suites by Carlson®, Orlando Universal offers comfortable accommodations near major Orlando attractions, including the Orange County Convention Center, Universal Orlando® Resort and more. Guests can enjoy free Wi-Fi, scheduled shuttle services and daily breakfast, as well as an outdoor pool, a fitness center, and more. 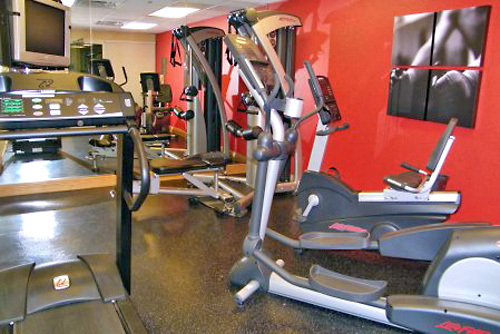 Located 1 mile from IDrive 360 and 2 miles from Universal Orlando. Complimentary scheduled shuttle service to Epcot and Universal Resort Orlando. 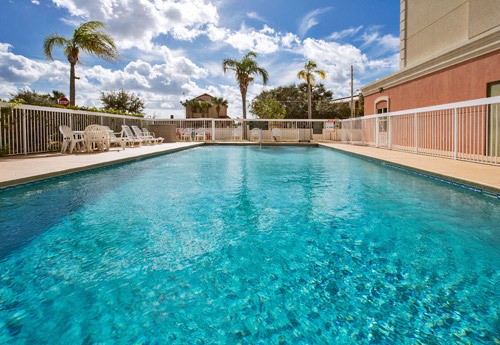 The Country Inn & Suites By Carlson, near Universal Orlando Resort in Florida, is the perfect location whether you are traveling for business or leisure. Surrounded by attractions, shopping venues and more, be sure to enjoy all that Orlando has to offer from this beautiful International Drive/Universal Boulevard hotel. This five-story Country Inn & Suites by Carlson is less than 2 miles from Universal and the Orange County Convention Center (OCCC), 1 mile to I-Drive 360, 8 miles from Walt Disney World® Resort and 4 miles from Sea World. Complimentary amenities include scheduled shuttle service to Disney and Universal, wireless Internet access, daily Full Hot American Breakfast, weekday USA Today, fresh baked cookies and coffee. With country-style furnishings, all guestrooms include cable/satellite TV with HBO, coffeemakers, in-room safes, and complimentary wireless Internet access and unlimited local calls. Our one-bedroom suites also include a microwave, refrigerator, and 2 TVs and Queen size sofa bed. Includes complimentary scheduled transportation to Epcot and Universal Orlando. 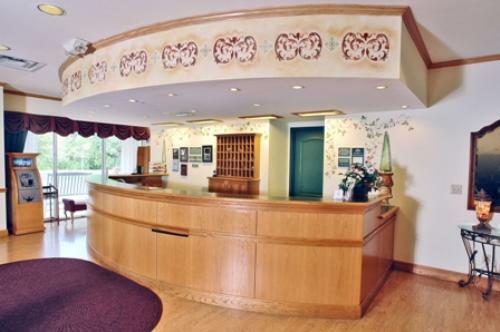 How many rooms are available at the Country Inn & Suites Orlando?There are 170 rooms total. How many floors constitute your property?The hotel has 5 floors and is an all-interior corridor hotel. Does the Country Inn &and Suites provide shuttles to the theme parks?Yes. They provide shuttles to Disney and Universal Resort. They are also located on the I-Ride Trolley line, which is convenient for transporting up and down I-Drive to shopping and dining. What is the minimum age required for check-in at the hotel?The minimum age for check-in is 18. 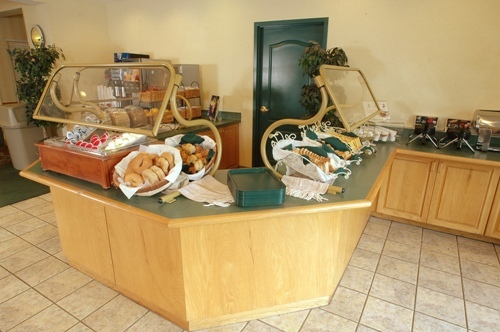 Do you have a restaurant, lounge or gift shop on-site?There is not a restaurant at Country Inn & Suites, but there is a gift shop. 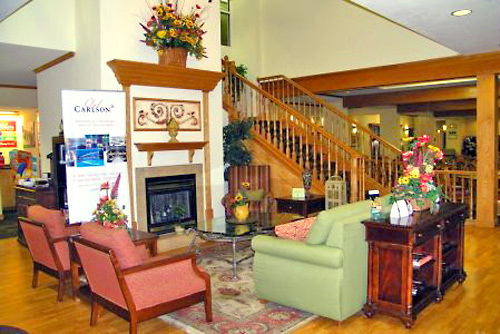 The Country Inn & Suites consists of one building. What is the charge for cribs and rollaways? Cribs are free of charge; Rollaways are $10 plus tax per night. 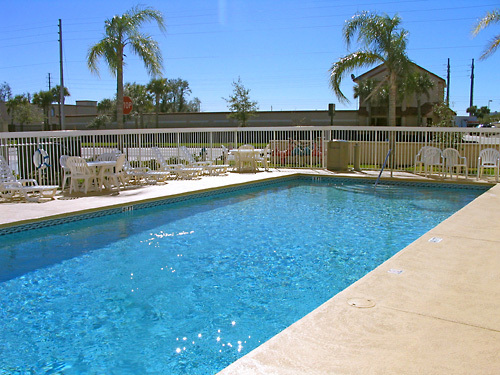 What are the pool hours at the Country Inn & Suites? The pool is open from 7am-11pm. Is late check-in available?Guests can check-in at any time.